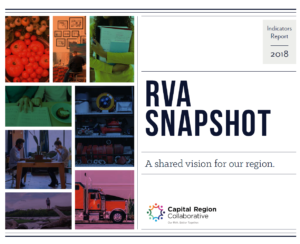 The jurisdictions in the CRC-footprint include: the City of Richmond, the Town of Ashland, and the Counties of Charles City, Chesterfield, Goochland, Hanover, Henrico, New Kent, and Powhatan. Source: Virginia Department of Education, 2016-2017 academic year. 3rd grade represents a pivotal milestone in education. Up until third grade a child is “learning-to-read.” After third grade a child is “reading to learn.” According to the Campaign for Grade-Level Reading, children who are not reading proficiently by third grade are 4 times more likely to not graduate from high school.